GellinS® X-ray detectable yarn is made of polypropylene and barium sulphate. This product is made up of 40 filaments wrapped with a polyester thread and can be manufactured in a range of linear densities to suit customer specifications. The product performances and processing conditions of X-ray detectable yarn from our company are strictly in accordance with European standards, with the yarns possessing good softness, flexibility and physical/mechanical properties, and the various specifications reaching the highest level of international standards. 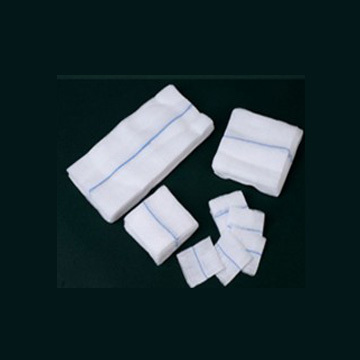 Our product can be woven with cotton yarn to produce X-ray detectable gauze, and can also be thermally or ultrasonically bonded to medical fabrics.